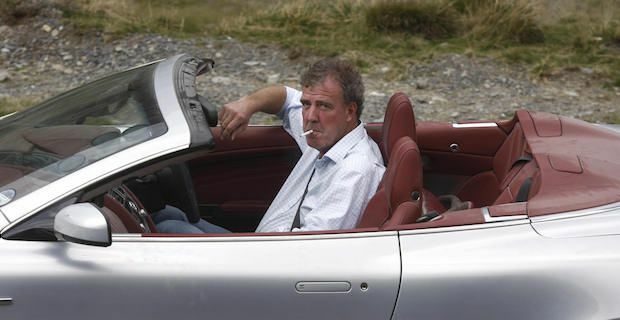 The BBC are facing a mammoth bill after being forced to suspend controversial presenter Jeremy Clarkson. The Top Gear host was disciplined yesterday after allegedly punching a producer during what the network described as a "fracas". The costs to be incurred from taking the decision to suspend Clarkson and pull the remaining Top Gear episodes from the planned schedule could add up to millions of pounds. This is because of networks abroad who have purchased syndication rights to broadcast Top Gear in their individual regions which will feel discommoded. It is alleged that Clarkson punched show producer Oisin Tymon over a lack of food once filming wrapped in Newcastle last week. Co-host James May was asked what he remembers about the incident and he replied "Not very much, I was blind drunk, no further comment I'm sorry" but he did say that a "dust-up" occurred. Clarkson insisted that he has regrets over the incident but he still made light of the suspension in front of media at his home in London. He blasted off a couple of quick-witted comments saying "I’m just off to the job centre.” and “At least I’m going to be able to get to the Chelsea match tonight." Fans of the show have been left gutted to learn that the remaining episodes were cancelled on such short notice. Top Gear is a huge show worldwide with an estimated fan base of over 300 million. Political blogger Guido Fawkes wasted little time in setting up a Bring Back Clarkson petition which gained over half a million signatures within only a matter of hours of being launched.